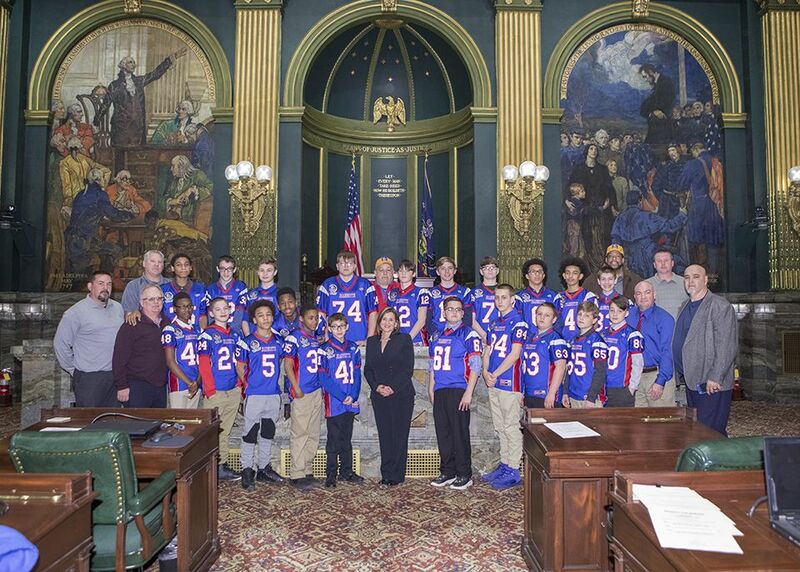 April 17, 2018- The Jeannette Jayhawks Football Team visited the State Capitol, and was introduced by Senator Ward during the Senate Session to congratulate them on being PIAA State Class A Champions. The Jayhawks captured the 2017 PIAA State Class A Football Championship- State title, by defeating Homer-Center High School by a score of 42-12 under the guidance of Head Coach Roy Hall and Assistant Coaches Charlie Cook, Jeremy Binakonsky, Doug Phillips, Ty Langford, Ryan Reitz and Trevor Petrillo. March 27, 2018 - The Jeannette Midget Football Team was invited and played at the National Youth Championship at the Pro Football Hall of Fame. This is an invitation only event and teams must exemplify great talent and tremendous values and is based on their season record, along with tradition, program and character to earn the “Call to the Hall”. This team traveled to Canton, Ohio in December 2017, under the leadership of head coach Joe Cononico and they placed 3rd in the Nation. The Jeannette Hawks rolled over the Arkansas Dawgs, 38-14, and finished with a 13-1 record. Jaydin Canady scored twice and Amari Mack, Brad Birch and Noah Sanders each scored once for the Hawks. 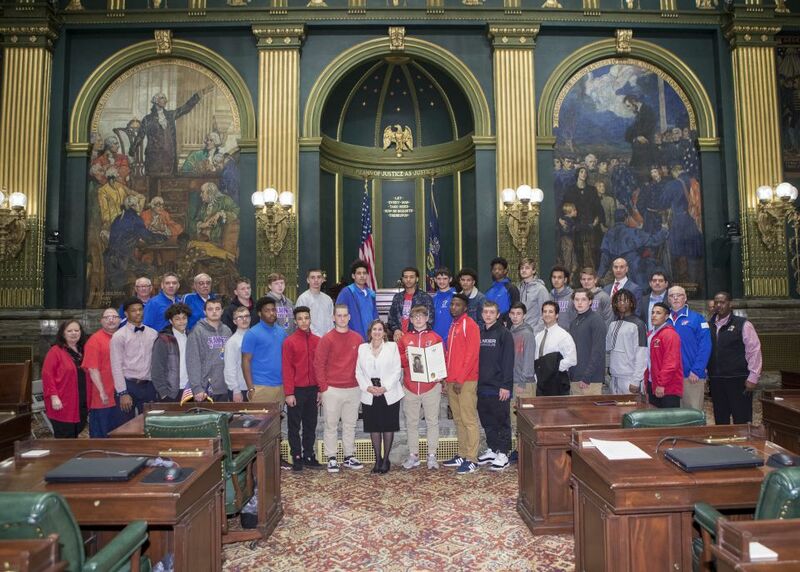 The team was introduced by Senator Ward to the full Senate during their visit to the State Capitol. 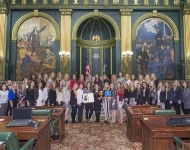 January 23, 2018 - The Norwin High School Girls’ Soccer Team visited the State Capitol and was introduced by Senator Ward during the Senate Session. 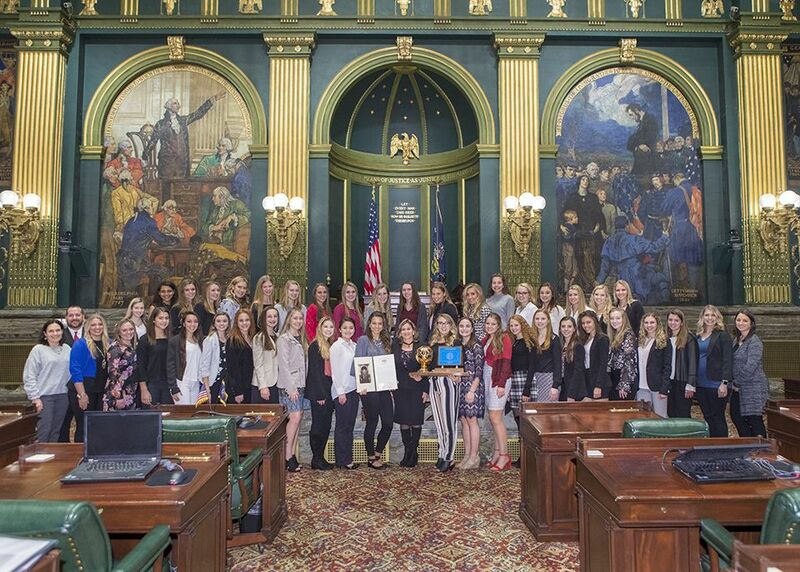 This team won the 2017 PIAA State Class 4A Girls’ Soccer championship, under the leadership of head coach Lauren Karcher and Assistant Coaches Leslie Kaminski and Samantha Fairbanks. The Knights captured the State title by defeating Neshaminy High School with a score of 1 to 0.